Zomato’s had an impressive 2017, and the results are already beginning to show. Morgan Stanley’s research unit has just valued Zomato at a whopping $2.5 billion. This is a near-threefold increase from its last funding round, and a five-fold increase from its valuation in May 2016, when HSBC had valued the company at just $500 million. The valuation also implies Zomato is India’s fourth most valuable startup after Flipkart, Paytm and Ola. “At the consolidated level, we believe Zomato will clock $1.3 billion in revenue, including the delivery fee it gets, and register 27 per cent EBITDA margins,” Morgan Stanley said in the report in which it had analysed Info Edge, the company that runs Naukri.com and also owns 51% of Zomato. “Zomato will emerge as one of the most exciting startups from India in the medium to long term – and in the process, create substantial value for Info Edge shareholders. We have lowered our consolidated earnings estimates for financial year 2019 and 2020 as we incorporate deeper losses in the near term – but believe Zomato could be a multi-billion-dollar opportunity,” the report said. Morgan Stanley also believes Zomato could be worth $ 6.7 billion in ten years. That’s a dramatic turnaround from what analysts were saying just over a year ago — back then, the food tech space was in the doldrums, with firings, layoffs and shutdowns across the sector. Zomato hadn’t been untouched, and had had to fire 10% of its workforce. In May 2016, HSBC had slashed Zomato’s valuation by half to $500 million, and effectively stripped it of its unicorn status. But Zomato’s engineered a strong turnaround. It’s come up with several clever ideas to stand apart in the crowded food-tech space. Last year, it introduced Zomato Treats, which allowed customers to get a free dessert whenever they ordered from Zomato. While foodtech companies were being commoditized away — the UI, prices and delivery experiences at Zomato, Swiggy, and Foodpanda are pretty much the same — Zomato managed to create its own little loyalty program in the space. Customers who paid upfront for Zomato Treats were getting free desserts with their orders, which made them far more likely to choose Zomato over its competitors. 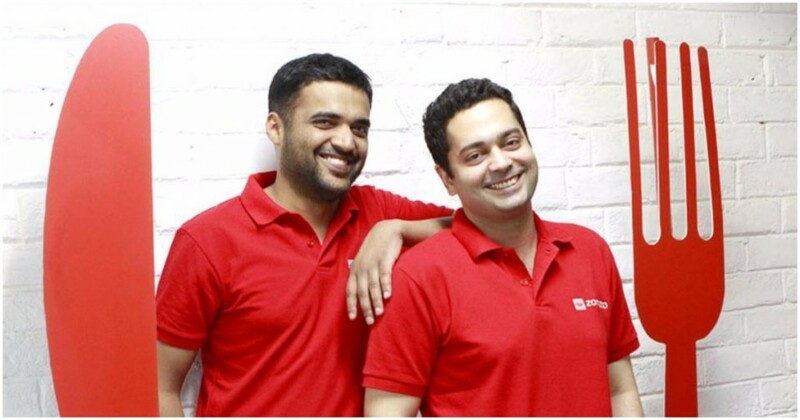 Within a few months of its launch, Zomato Treats had over 50,000 paying customers. Zomato’s also used its clout with restaurants to come up with yet another loyalty program. Zomato Gold allows its paying users exclusive offers when they visit partnering restaurants. Excitement around Zomato Gold has been high, and the offer currently stands sold out in many cities. The money coming in seems to have moved the balance sheet — Zomato declared it was profitable in September last year. It’s also helped Zomato that the food-tech space has thinned out considerably over the last couple of years. After the bloodbath of 2015 when many food-tech players shut shop, only a few big players remain, and they’re now looking to finally assert their dominance. With Foodpanda now having an additional $200 million in its kitty thanks to the Ola acquisition, Swiggy having just raised Rs. 515 crore 6 months ago, and Zomato becoming India’s fourth most valuable startup, 2018 could well end up being the year of food tech.